To get that perfectly set solitaire ring and delicate string of sapphires to fly off the shelves and onto the fingers, necks, and wrists of customers, jewelers know they must display them properly. This is why they are employing the power of LED lighting. Gems shine their brightest in natural light, but in a commercial store, harnessing sunlight isn’t really feasible. Light produced by LEDs casts a crisp, clean and clear beam that bring out the brilliance in stones. You see, diamonds and other stones reflect light and when light is reflected from them, their colors and cuts shine with utmost clarity.This is especially true when the light each stone is reflecting has hints of the gem’s hue. LEDs can produce a wide spectrum of color with ease, allowing a case of sapphires to sparkle richly with only a hint of blue added to the light and a case of diamonds to dazzle from a flood of pure white light, highlighting their precise cut and clarity. But for business owners, there’s more to consider than just making their stones shimmer— When lighting is an essential part of your business, you should also consider the cost your lighting incurs. LED bulbs only use 3% of the electricity that the typical halogen bulb uses and because they give off little to no heat, energy bills are kept low as well. Plus, LEDs average 30,000 to 40,000 hours of use, saving time and money on replacing bulbs. When mill shops are producing cases for jewelry or displaying of other products, LED lights offer the advantage of choices. Not only choice of colors, but also choice of intensity and brightness. You get the choice of length for your project too — Kenmark Interiors supplies LED lights in spools that can be cut to any desired length. 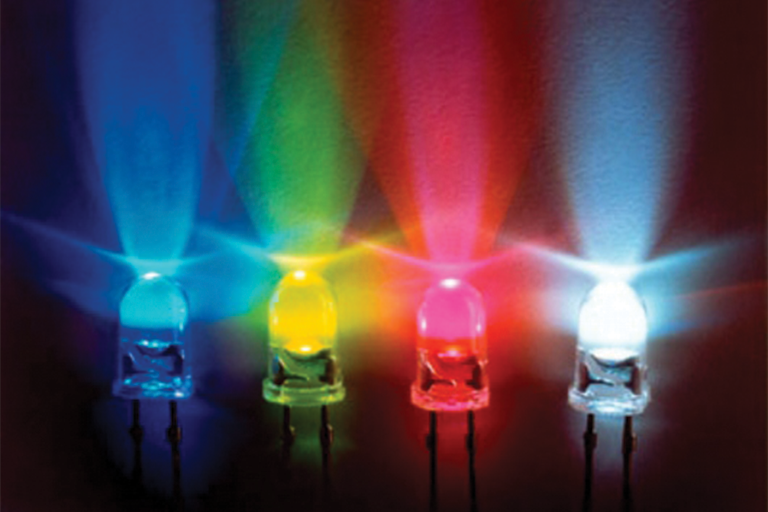 So next time your buying a little hand or neck candy, just remember— LEDs help make the sale. And so did Kenmark Interiors.